Move Right in this spacious ranch. Step into the foyer - and awe at the large living room then flow into the dining room. See the bright cheery eat-in kitchen, all appliances remain and large pantry. Enjoy the spacious family room (15x19) with fireplace, bookshelves and mantel. 2 Full baths w/ ceramic floor. Master bedroom (14.8x13) w/ 2 closets and adjoining bath. Updates include, appliances, windows, furnace, c/a, sump pump and roof. Annual termite protection, security system, gas at street and home warranty. Please note huge 2 1/2 car garage, fenced yard. Great neighborhood and easy access to Watterson Expressway. (19.8x11) Room in basement just needs carpet (not counted in sq ft) No sign on property. Direction: Westport to Washburn to Right on Chippenham, Left on Carlimar, Right on Street. Windhurst Acres is a subdivision within the city of Louisville, Kentucky. There are currently 0 Homes for Sale within Windhurst Acres, with asking prices ranging from $0 to $0. The average list price per square foot of the available inventory in Windhurst Acres is $0, which is the Louisville average of $149. The Average Sales price of all sold real estate in this subdivision for the past year is $243,125. Recent comparable homes have been selling for 98.16% of their asking price. Waterfront homes represent of the available Windhurst Acres inventory. The population of Louisville, according to the 2010 Census, is 597,337. The total number of households in the zip code of Windhurst Acres is 9,898, with an average household size for of 2.09 people. The total number of renter households within the zip code of 40222 is 4,037, which means that 59.21% of households in this zipcode are owner occupant households. 1311 Holsworth Ln, Louisville KY 40222 is a Home, with 3 bedrooms which is recently sold, it has 1,760 sqft, 70X140 sized lot, and 2 1/2 Car Garage,Detached parking. A comparable Other, has bedrooms and 0 baths, it was built in and is located at and for sale by its owner at $ 0. 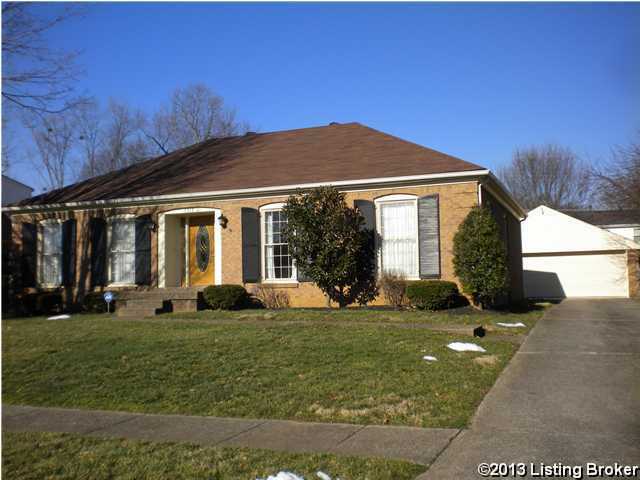 This home is located in the city of , in zip code , this County Other, it is in the Subdivision, and HURSTBOURNE are nearby neighborhoods.